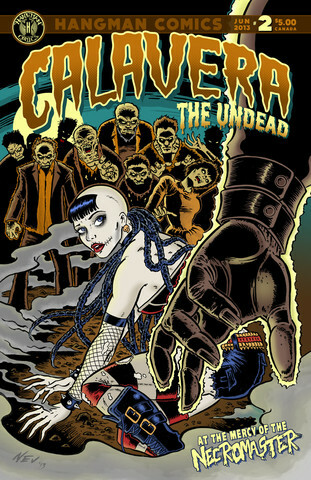 Calavera's adventures continue as she faces off against the deadly Necromaster and his undead empire! 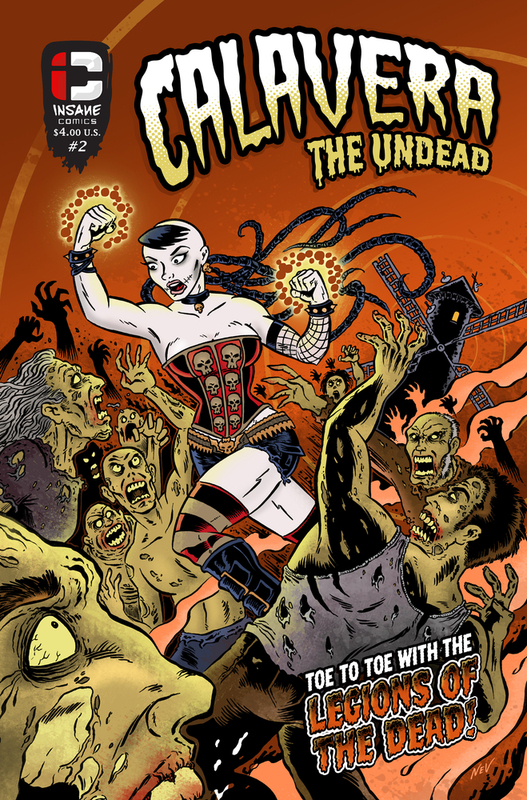 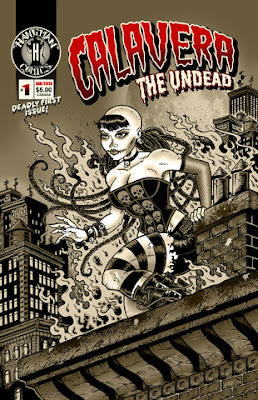 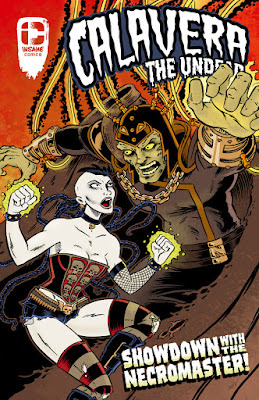 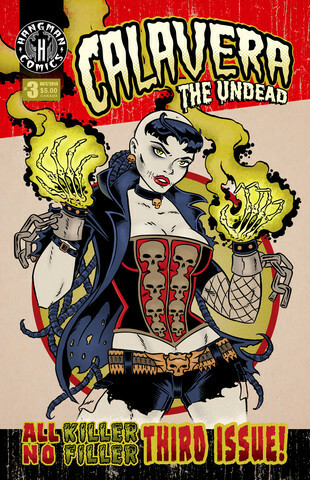 Calavera The Undead #3 concludes the first adventure of Calavera! 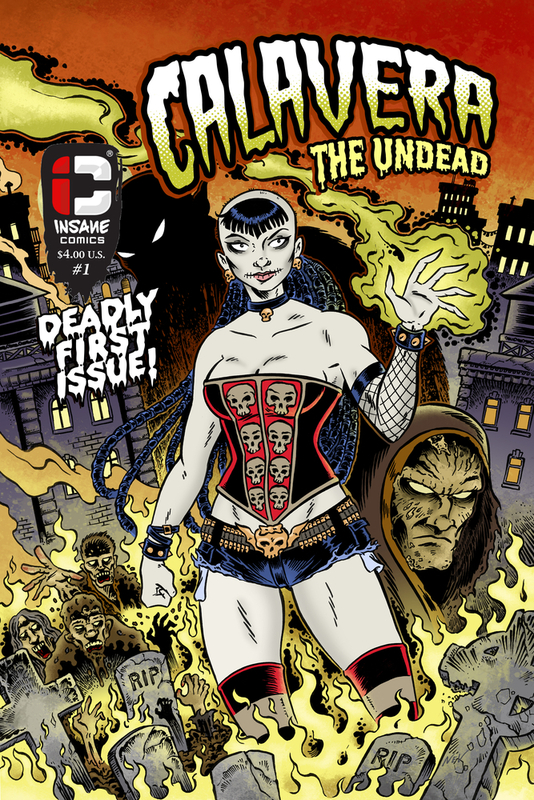 At ground zero of a city wide zombie outbreak, Calavera's epic battle with the Necromaster will decide the fate of Grimstone Bay! Monsterella is caught by chance with her pants down by fiendish galactic poachers, who are quick to recognize just how priceless the head of the most feared monster huntress in the cosmos is! 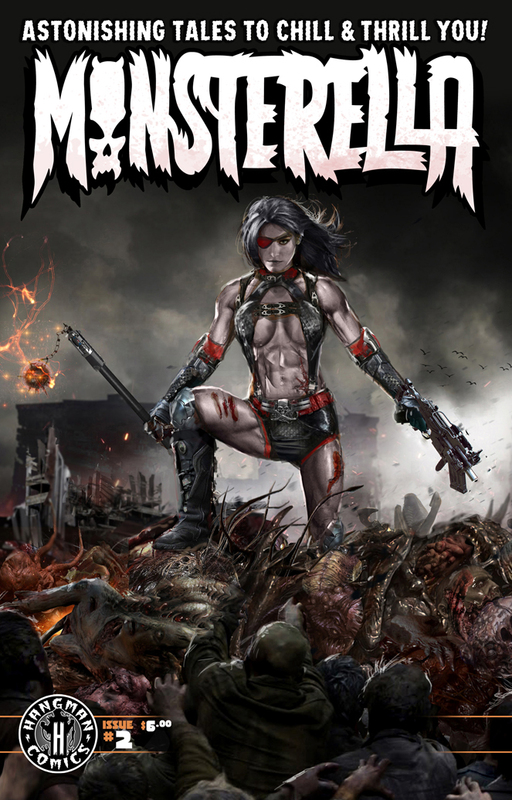 Narrowly escaping, Monsterella finds herself unarmed on the most dangerous planet in the universe. 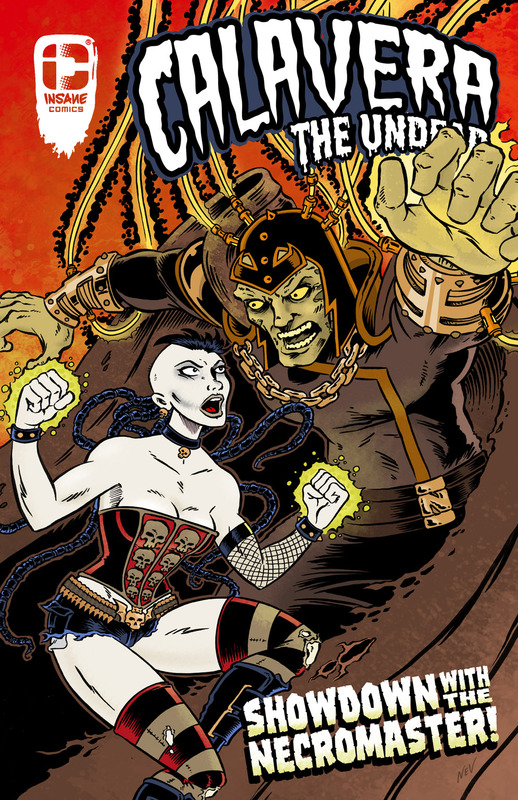 With only her wits and resourcefulness, can she bring these villains to justice?